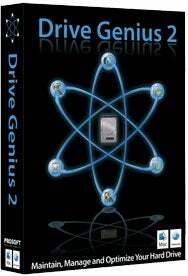 The latest version of Drive Genius, the disk utility from ProSoft Engineering, adds compatibility with Snow Leopard, Apple's forthcoming OS X update which arrives in September. Besides OS X 10.6 compatibility, Drive Genius 2.2 promises improvements to defragmentation functionality and repartition performance. Realmac Software has unveiled Ember, which it bills as a new "inspiration-sharing" Web service aimed at creative pros. This application replaces Realmac's previous QuickSnapper service, adding several user-requested features. According to Realmac, the new Ember service lets designers build an online scrapbook for design ideas. 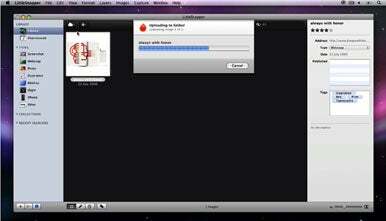 It also integrates with the software maker's LittleSnapper applications for the desktop and iPhone. The service allows users to upload images, apply tags and descriptions, and build collections of any images they find on the service. Ember also features categories to which users can submit relevant images (for example, "User Interface Design"). Realmac Software oversees the categories to ensure that Ember develops as a creative showcase and pattern library. Ember accounts are available at two levels: basic and pro. Basic accounts are ad-supported and allow users to upload up to 30 images per month, as well as creating a maximum of three collections per account. For $24 per year, the pro level is ad-free and users can upload an unlimited number of images and create as many collections as they wish. AJA Video Systems makes a line of professional video playback and capture cards under the Kona brand. Those cards now compatible with the overhauled Final Cut Studio released by Apple last week, thanks to a new 6.5 software update. AJA's updated software for its Kona cards supports Final Cut Pro 7 along with Apple's new ProRes 422 (LT), ProRes 422 (Proxy) and ProRes 4444 codecs. All are available free of charge to current Kona users. Eltima Software on Wednesday released Recover PDF Password 2.1.0.99, the latest version of its utility for retrieving lost passwords for PDF files. The update adds a “Decrypt” option which instantly saves a copy of a PDF without encryption, as long as that file has only an owner password. In addition, the program’s algorithm for processing Adobe Acrobat 9 files has been improved and several bugs have been fixed.